Friendly Warning: this blog post is a long one. It’s been curated to give you everything you need to know so you can turn around your adrenal fatigue and a whole lot more. PLEASE READ THE ENTIRE POST. If you drop off too early, you won’t receive all of the juicy education and my special tips so you can come out of adrenal (and life) overwhelm. This article has a few layers that come back full circle, so stick with it. I recently sent you a chat I had with one of my students Heather. 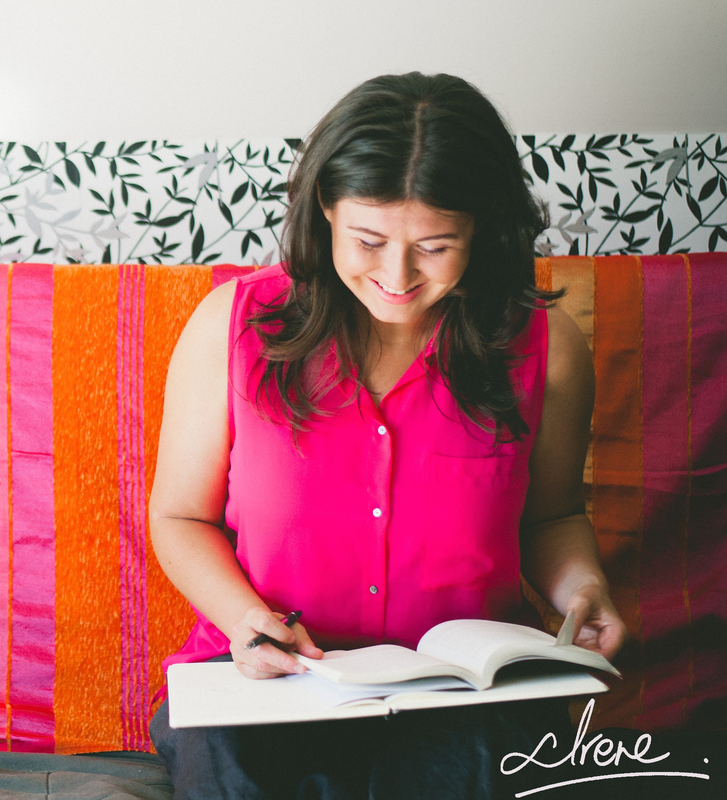 We talked about the relentless burnout she had been living with; the physical and emotional health woes that come with burnout and especially adrenal fatigue and how she started to become her own medicine with my help. Doing for everyone, but not oneself. Overwhelm that starts to feel like fatigue. Body systems start to get sick. Sleep is no longer restorative. You’re forced to stop. No more pretending. In this scenario, one of the body systems that gets taxed to the max is the adrenal glands and their sidekicks the kidney organs. These little adrenal glands sit on top of your kidneys and when put under the fire (under constant pressure 24/7 with no time to rest) the adrenals produce our main stress chemicals: adrenaline and cortisol. Mr & Mrs Kidney do overtime too! Because they’re getting the stress chemicals from the adrenals gland 24/7, via the bloodstream, they increase their activity by doing MORE of their job (even though they don’t have to), which is the filtration of blood and fluids. They’re increasing that filtration PRESSURE like crazy. This greatly increases blood pressure. It wears out the blood vessel walls. Thins them out. Makes ‘em weak. FACT: The adrenals (and kidneys) are one of the last organ-gland systems to go, they will hang in there for a long time, but when they get exhausted, you can be sure that everything else is, too. Stage 1) This first stage of revved up “GO-GO-GO” lifestyle I’ve just outlined can persist for a while. Meaning, those adrenals and kidneys HOLD ON & HANG ON and keep the other systems JUICED UP via the secretion of adrenaline and cortisol. And by JUICED UP, I mean the adrenaline keeps the heart, muscles, immune system and brain ACTIVE so the organism (you) can keep living (surviving) under this high stress. You know those people that seem to always go-go-go and who say “Yeah, I never get sick!” (it’s common, you know them)? What you may not realize is they are burning their candles at both ends. But doesn’t it seem almost odd they can keep going? This GO-GO-GO stage is stage one. Trouble sleeping or not even feeling tired at all. Digestion that is just starting to be less regular, is sporadic and sluggish. Staying focused and thinking clearly becomes harder. Anxiety, angst, jitters and a constant ‘buzzing’ kind of hangs around your brain, and it is easier to just keep going than to stop and actually feel this high frequency, agitated energy. Eventually, that GO-GO-GO JUICE runs out when there’s nothing replenishing it. At this point, those adrenals and kidney are exhausted. They’ve reached their version of dried up. They can’t do their job anymore, which is to pump and filter the body’s fluids and balance things out (the kidneys), and the adrenals don’t have the energy to pump out adrenaline anymore to keep the body systems going. Cortisol no longer fluctuates and it actually flatlines in its daily responsiveness. Pain and tightness in the muscles, especially the mid-back and low-back where those kidneys and adrenals live. More irritability and trouble focusing and staying on your ‘game’ creep up. Stage 2) Burnout. Illness. Utter exhaustion. Listless. Lifeless energy states. This is when you can’t push through anymore. By this time, the constant secretion of stress chemicals (cortisol being the big culprit) has damaged the body’s cells and the brain so much that many of the body’s systems start to show it (remember, those chemicals get transported ALL around the body, not just in the area of the kidney. The heart, immune system, digestion, muscles, brain and more). Heart function deteriorates because those blood vessels were put under raging pressure via adrenaline pumping 24/7 and the toxic levels of cortisol inflames them and they lose their vitality and resiliency. Digestion really starts to slack and the cells of the gut lining no longer repair properly causing leakiness between the cells (i.e., leaky gut) and bloating becomes a massive problem (i.e., irritable bowel syndrome, aka: IBS) because the autonomic nervous system is shot (due to the 24/7 go-go-go fight/flight energy) and is no longer giving clear signals to move the food along the digestive tract…so stuff starts to stall and back up. There’s no more of the high-revving energy of Stage 1 to keep us going, and feelings of depletion, illness and even depression become the norm. We must work at the level of the kidney/adrenal and survival instincts interface. Doing this GETS to the ROOT of the issue. (It’s not enough to just take supplements, change your diet, sleep and be mindful to help those exhausted adrenals. Rewiring patterns of activation (or survival instincts) in the nervous system is vital. When I work with my clients, helping them recover from adrenal fatigue and the other signs and symptoms of ill-health that often comes with it, it’s never a one-size fits all approach, nor do we just do ‘one thing’ and then they get better. It’s essential to have a multi-disciplinary approach that brings in not only the mind and body, but a few more pieces I want to tell you about. I’ve found in my work with my clients that there are 3 key steps they typically never encounter in their healing journeys and when they start to implement these steps into their recovery and treatment plan they start to heal at a very deep level and their adrenals really can recover which in turn allows for repair and recovery of their entire body. Education on the biology of our stress response and our autonomic nervous system, and how those systems influence our body function, physical sensations, emotional health and our higher brain centres. STEP 1. Education on the biology of our stress response and our autonomic nervous system, and how those systems influence our body function, physical sensations, emotional health and our higher brain centres. I once had a mild disagreement with a very nice guy at a conference around whether or not it was important to teach our clients how the autonomic nervous system (ANS) actually works. He, like me, was doing some form of mind-body work that worked at the level of the parasympathetic nervous system. b) rest, repair and regeneration, as well as for social interactions and being “human” (this is the place human beings “should” be living in most of our time). While I know this to be true for some, we run into a few problems with this mindset. Sure, it might work wonders but what happens in those off chances (and there’ll be lots of those off chances) that it actually doesn’t work for someone? Those in this scenario, where the “magic pill” doesn’t work, are left not understanding WHY this isn’t working for them, and they automatically assume there’s something wrong with them. Secondly, this gives the power to the person delivering the promise and never gives the client a chance to understand the process, so they can be powerful medicine for themselves. I know there’ll be people who will never give two hoots about how they tick on the insides and they’d much rather stay ignorant to the process (if this is you, then stop reading this now because I can’t help you), but from what I’ve witnessed in all my years doing this, the moment you give a person the education from a fairly deep level, they begin to activate their healing from the inside out. Why wouldn’t you want to know how those insides tick? Why wouldn’t you want to start taking the matters of your health and long-term well-being into your own hands? When you actually learn the intricacies of your own biology and how you respond to stress and how stress has affected you in the past, you can begin to re-route the toxic reactions to this stress in a much more intelligent way. Maybe read that again, really slowly. It’s a step we often neglect when matters of health are concerned. Feldenkraisian learning cultivates self-awareness via intention-based movement as a way to ‘talk’ to the nervous system. This ‘talking’ sets up feedback loops via the sensory aspects of our body’s nervous system which a) directly impact our movement function, and b) indirectly impact the deeper levels of brain and autonomic nervous system function. This means after we get that education on board (Step 1), we need to cultivate this second step of self-awareness and embodiment from a biological level, because, as Maté points out, our internal physiological responses (our biology) is a better indicator of how stressed out we are, as compared to how we might ‘feel’ we are doing, or how we may ‘look’ on the outside. Think about that for a moment; have you ever heard of someone who was given a terminal medical diagnosis and yet they’ve ‘appeared’ to be ‘really’ healthy. As Gabor Maté has recounted in his book When The Body Says No, The Cost of Hidden Stress, when you look at the personal histories of these people, and how they cope with stress, especially their emotions(1), they are masters at suppressing and ‘pushing through’ their stress. They are masters of the phrase, ‘everything is fine’. In fact, they might look fine, but inside their physiology, they’re really struggling. All too often, they aren’t even aware of how much they’re holding in because it has been their norm for so long. Quite often they’ve learned their suppressive tendencies and habits from their family and society. Ideals that most of us have heard such as, “Oh, we never were allowed to cry”, or that all too common stereotype of “that stiff upper British lip,” which abounds in households throughout western cultures. Science is showing us over and over again we are more the by-product of our environment. Not our genetics. The other reason I commonly see people not expressing themselves, and unable to feel anything or express any emotion, is because from a very young age they realized it wasn’t safe to do so. So throughout infancy and childhood, the damage gets done, and by the time adolescence is reached, the patterning is solidly grooved in. For these people, and by ‘these’ people I mean many of us, what feels like normal to them is actually, from a physiological reality, taxing them out to the max and incredibly unhealthy. How do we learn to become better listeners of our biological landscape? After all, if we can’t notice how our stress chemistry is firing off in the first place, how can we actually de-stress? Start to become more aware of your environment. This is called ‘orienting’ to the environment. Start noticing and paying attention to your body and its sensations, no matter how small. Start following your impulses. Simple biological impulses, like the need to go to the bathroom, when you are thirsty, tired, cranky etc. As simple as these three tips might be, it’s a start to unlocking the load of constant stored up stress. Our cultural norm is to stay in our heads for a large part of our day (life) and in doing so we cut off our body from our immediate world and when this happens we no longer hear our biological signals. Do this for enough time and we are oblivious to how starved our bodies are for self-care and support and nourishment. For example, a person gets home after a LONG day of work, staring at a screen and they are tense in their neck, jaw, shoulders and lower back. By being in their thoughts and upper brain centres all day, they have not once tuned in to their body signals that were actually giving them the message that things were ‘tightening up’; there was never a chance for a momentary pause of reset and relief. Signals such as raised shoulders, clenched jaw and tight abdominals are unknown to them. The signals of thirst and dehydration aren’t on their radar. And then they think it’s the job’s fault, but in fact it is their lack of awareness that has led to the rising of their stress and tension levels throughout the day. When I teach my clients and students the simple exercise of orienting to their environment, which involves pausing frequently in a very specific kind of way throughout the day, they often report they feel more alert, less tense and much more able to enjoy their evening. For example, their sleep might start to improve because they’ve actually lowered their stress neurochemistry at regular intervals throughout their day, meaning their adrenaline and cortisol is getting a chance to reset, metabolize and ‘come down’ so it isn’t on high all the time. Another scenario that can happen when a person takes time throughout the day to reset is they desire more meaningful connections (be it with themselves so they can engage in joyous and pleasurable activities, or with family/friends). Connection and social engagement is what humans are built for. But we can only take full advantage of it when we are not in a constant state of either a) arousal, that GO-GO-GO kind of energy (Stage 1 of adrenal fatigue) or b) in that more depressive state of shutdown and low energy, low metabolism (Stage 2 of adrenal fatigue). When we can start to learn the language of our biological signals and, most importantly, embody them, we can become more tuned in to how our stress responses activate in high-pressure situations. Once we get to this stage of self-awareness we can start to use the stress signals as our allies and we can turn our stress into our medicine. When we bring more awareness to our surroundings and stay in the present moment via our biology we set the stage for more chances to actually notice our body signals in our physiology (how the body feels, the bodily sensations, emotions etc.). In my work I’ve come to observe we can’t have a one-size-fits-all approach to mindfulness and awareness practices because some people feel too much and others having trouble feeling at all. Because of this individuality, I’ve discovered when we can learn about the biology of our stress response systems (Step 1) and then grow self-awareness and embodiment from a biological perspective (Step 2) we start to move towards rewiring our adrenal (stress) responses. When we get this biological awareness back on board we don’t miss the important cues our body is giving us. From here we are one step closer to resetting and repairing the body and the systems that have been affected by the constant onslaught of stress chemicals coming from the adrenal glands. This is where the real deep healing begins so this important interface can start to get its juice back. To develop better biological smartness and repair exhausted adrenals and the accompanying biochemistry, understanding neuroplasticity is a must. Neuroplasticity is simply the body’s ability to change, heal, grown and relearn. By ‘body’ I mean ALL that is within the body. Not just the muscles and movement patterns, but the way a person and their nervous system responds to stress and stimuli. Put another way: how a person is wired. How a person ends up defaulting to patterns that are more harmful than helpful is far beyond the scope of this article, but suffice it to say our actions and reactions are incredibly complex and therefore we need an approach that is equally rich in complexity. For years and years you got to work by riding on a rickety old bus, with a senile driver that swerves at every pothole and slams on the brakes with every turn and, although you know your life’s in danger with this guy, you kind of get used to it and you know what to expect, how to brace, how to protect. After all this time, you even feel a little attached to the driver, he’s senile and a bit dangerous, but hey, he’s got character! The physiology and all its merrymen begin to panic due to the unfamiliarity. Even though the higher brain can reason with all of this and knows you are in better hands. The practices required to reset and rewire these pathways we have grooved so well into our body-mind and relational systems requires working DIRECTLY with said pathways. Leave out these specific pathways and it would be like blindfolding you when you are on that old rickety bus with the old guy driving and transporting you over to the new bus with the better driver while both buses are still moving (as you might see in a stunt maneuver in an action film). You get on that new bus, but you haven’t taken the time to learn the necessary foundational skills to stomach the new ride, you have no idea how you got there and so it feels unsafe (even though it is better for you, safer for you). The type of neurosensory practices I teach involve bringing what I have coined the Body-Mind-Environment Connection, or BMEC. 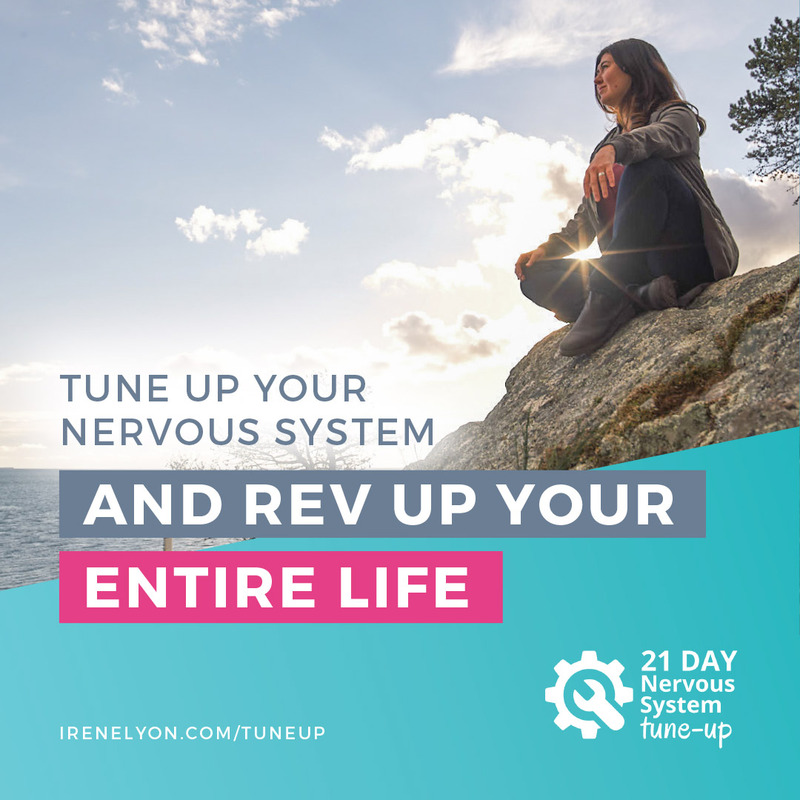 When we can practice at this multidimensional level that exists in the human system and within the human relationship to the environment, we can, step-by-step, reset and rewire our neural pathways at the root level. This BMEC type of practice requires a development of awareness that is what I call ‘multi-tasking’ awareness. This type of awareness means there’s never a need to only focus on one solitary element of human experience, but rather a wide focus on the moving parts of bodily function and its relational interactions with the world. This type of focus requires practice, and much like learning a martial art such as Judo or Karate, in that there are levels one must work through so as to gain enough solid foundation to move on to the next level. This kind of body-mind-environment-connection practice is never mastered; it’s a continual work in progress, but its a worthwhile lifestyle if you are keen on successful longevity. If you are intrigued on how this is done, then I’ll be the first to say that it can’t be explained with words. Practice is essential. if you’d like to hear a first-hand account of someone’s experience with this work). Get this under your belt and into your biology and you’ll get ahead of your stress responses. If you’ve got fatigued adrenals and are showing signs and symptoms as I mentioned in Stage 1 and 2, then it’s essential to learn about the biology of your stress. From my experiences, just the psychoeducation alone is enough to catalyze a person into the right direction (Step 1), then add more self-awareness, embodiment skills (Step 2), plus some neurosensory exercises that specifically target the kidney-adrenals (Step 3), and you’re on the right track to healing this ever-important kidney/adrenal interface. OK, that was a lot. And I want to commend you if you’ve got to this point in the article. 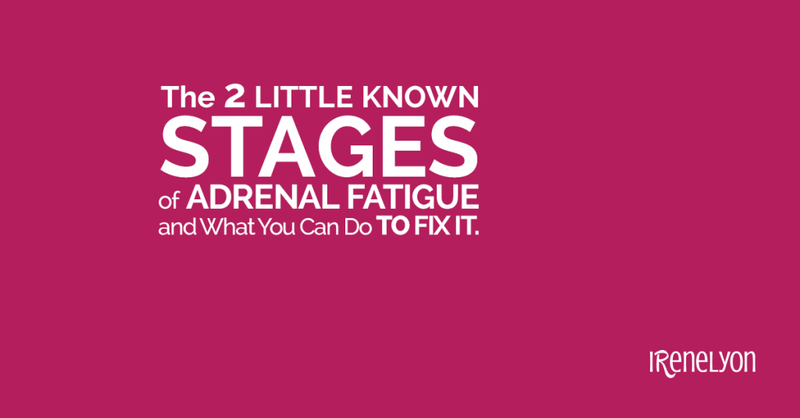 I hope this has been useful to you and I do hope you take this knowledge and use it wisely so you can get on a path that’ll help you get to the root of adrenal fatigue and exhaustion. As you’ve learned, when you can heal at this deep level, many of the other body systems, and also how we interact with ourselves and our world, change for the better. I can’t stress enough the importance of education (Step 1). Gaining more self-awareness and embodiment from a biological level (Step 2). Practicing specialized neurosensory exercises that address the kidney/adrenal interface head on, which will help to rewire, reset and reroute old grooved neural pathways that no longer serve and can actually be harmful to health and healing (Step 3). The clients I’ve worked with who take on more learning for themselves, really do make changes at a faster and more solid speed because they are learning the language of their nervous system from the inside out AND the outside in. Don’t forget, when we can work through all these steps we turn down the secretion of those stress chemicals: adrenaline and cortisol. It takes the pressure off the system. It decreases the inflammatory response. The body tissues starts to heal. They recover. Old programming gets reset and rewired. I believe this is the way forward with medicine and wellness. We must come back to our natural capacity to heal ourselves. To become our own medicine. 1. Clean, healthy eating doesn’t have to be fanatical. We must eat well and fuel our body with healthy, clean food, but, and this is a big BUT, please don’t make your food practices so complicated and fanatical they stress you out more. If eating all organic and ensuring you get all your greens is making you a bit bonkers, or is draining your bank account, make it 50% of the time, or even 20% of the time, rather than 100%. I find for myself, I’m very picky about the animal products I eat, I prefer them to be more organic and sourced from reputable farmers, but if I choose to buy potatoes or flour that isn’t 100% organic then I’m not going to stress. In other words, choose your battles carefully. 2. Rest and sleep as needed. I know in our day and age we can’t always take a nap when the body calls for it, but even having moments of down-time, say 5 minutes here and there, can offer the body and nervous system a moment of reset. There’s been a lot of talk in past years of being ‘superhuman’ and getting by on 4 hours of sleep per night, or getting up at the crack of dawn to get all your work done and be productive before the rest of the world is awake. But here’s the thing: if we don’t sleep enough the body never gets a chance to build back its immunity and regenerate its cells and tissues from the wear and tear of the day. Those adrenals never get a chance to plump back up and have their night’s sleep, which they need. If you want some help getting back into your body with ease without the need for any fancy equipment or special body positions, download my 4 Simple Steps Audio Exercise + Cheat Sheet HERE. This FREE neurosensory audio exercise is geared towards that concept of “multi-tasking” awareness that I mentioned above. People have found it very effective for calming the mind, returning to the body and getting back into the present moment. Consider it a “grab and go” neurosensory exercise Check it out. 3. Physical activity that’s not too strenuous but does get the circulation going. When the adrenals are burnt to a crisp, the last thing we want to do is bombard them with intense activity, which requires shots of adrenaline. Often, when we get to this point of fatigue, the thought of any intense activity is impossible, and that’s because those little guys, your adrenals, can’t offer anymore adrenalized juice. For the exercise obsessives who have yet to reach Stage 2 – while you may still have ample adrenaline stores to fuel your activities, I’m going to suggest giving your intense activity regime a “time-out” for a few weeks, just so you can give your adrenals a chance to really rest. Maybe replace those intense bouts of exercise with more nurturing forms of movement that still increase the heart rate but don’t tax the adrenal systems and immune system as much. 4. Healthy friend and family situations or support groups that offer a safe haven for open, unconditional discussions. When such environments present themselves, it’s a sign of a much deeper issue for my client, and it typically comes down to one of a few things: a) inability to set clear boundaries, b) fear of abandonment if they speak up and really fight for their needs, c) not being worthy of a loving relationship that offers them unconditional support and acceptance, and/or d) the partner, or family system, doesn’t have the emotional resiliency to be in difficult circumstances themselves, so they avoid the emotional and/or physical hardship that my client needs help with. In such situations, and it’s a matter of specificity to each case, I recommend seeking out proper emotional support from either a close friend, a professional or a trusted support group. 5. One-on-one work with a professional trained in a psychobiological trauma-informed practices such as Somatic Experiencing so that stuck traumatic experiences can be processed and released safely. Because of these complexities, we can be a bit trickier to ‘fix’ when it comes to healing from past traumatic events and adverse experiences. I don’t want to enter into another essay on this topic, but I’ve found some of the more stellar results I see in my clients is when they engage in the three steps I’ve written about above (and these above bonus steps), PLUS, they do some solid one-on-one work with a professional that is trained in some form of somatic psychobiological therapy. Because I’m trained in a system called Somatic Experiencing that was developed by Peter Levine, and the various offshoots that it has bred, such as Kathy Kain’s work, Somatic Practice, I’m partial to recommend those two forms of somatic therapy to people who know they need to dive a little deeper, and with more professional support. I find that private work is especially important when someone has suffered a great deal of trauma as a young child and/or infant (being born under difficult circumstance, being neglected, abused, or growing up with a parents who were misattuned or addicted) and for those who might’ve had either numerous shock traumas (such as a series of car crashes, falls or other injuries) and/or one very large shock trauma (such as being blown up or shot in a war, violently attacked, or in a very serious car crash). PPS When we play this kind of Russian roulette with our health and keep trying to work on our body, but without going to the root cause, such as addressing the adrenals and kidneys straight on, and also becoming well versed in nervous system health and awareness, that LONG list of bullet points at the beginning of this article eventually happens in some way. This is the state we are dealing with in our world right now: body and brain systems suffering due to being in constant fight/flight mode. Sure you could do the detective work yourself and try to figure it out, but I’ve done the detective work and can show you the way. PPPS What happened with Heather, who I mentioned at the start of this article, happened because she decided to say YES to herself and learn a language she was not familiar with: the language of her nervous system. We all have the capacity to do this. It is possible. It just requires a knowing that the body can heal, and a willingness to embrace the process.